Toronto Coun. Giorgio Mammoliti says he will no longer seek to run in the upcoming provincial election, announcing Monday that he has opted instead to vie to hold his city council seat. Last month, Mammoliti announced he would seek the Progressive Conservative nomination in Brampton Centre. He told am640 radio at the time that newly elected PC leader Doug Ford had asked him "to be by his side at Queen's Park." Mammoliti was an ally of Ford's brother, Rob, when they were both city councillors, and during Rob Ford's time as mayor. Mammoliti, councillor in Ward 7, York West, tweeted the news about his decision on Monday night. He said he had received "countless messages of support and encouragement" after announcing his plans to return to provincial politics. But, he tweeted, his constituents also told him that "although they like the idea that I could help more people at the provincial level, they believe that my work, in my current community, is not yet complete. Since announcing that I would be seeking a seat in the provincial legislature,<br>I have received countless messages of support and encouragement. After making that announcement, my current constituents have been reaching out to me. Although they like the idea that I could help more people at the provincial level, they believe that my work, in my current community, is not yet complete. I have taken my constituents’ thoughts to heart and due to the large volume of these kinds of messages, I have made the difficult decision to continue to represent the City of Toronto and continue to pursue my run as Cllr for Ward 7- York West in the upcoming municipal election. This decision has been one of the most difficult of my career. I want to thank the residents and volunteers of Brampton Centre for their incredible support. "I have taken my constituents' thoughts to heart and due to the large volume of these kinds of messages, I have made the difficult decision to continue to represent the City of Toronto and continue to pursue my run as Cllr for Ward 7- York West in the upcoming municipal election." Mammoliti called the decision "one of the most difficult of my career" and thanked the residents and volunteers of Brampton Centre for their support. Mammoliti was first elected to the Ontario Legislature in 1990 as the NDP MPP for Yorkview. 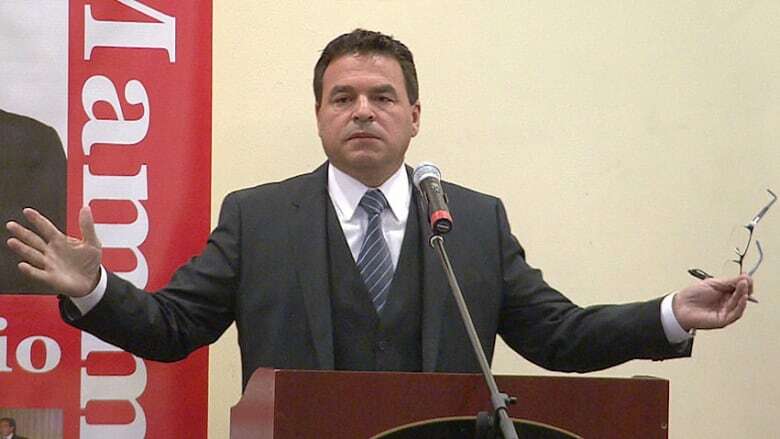 During his time at Queen's Park, Mammoliti served as parliamentary assistant to the Solicitor General and Minister of Correctional Services; Minister of Health; and the Minister Responsible for the Provincial Anti-drug Strategy. Mammoliti then moved to municipal politics. He was elected as a councillor for the newly amalgamated City of Toronto in 1997.